The Hoosier State offers everything from rolling farmland to big-city life. The diversity in landscape is accompanied by diversity in temperatures as well. With extreme summer heat and bitter winter cold possible, it’s definitely a place where HVAC technicians are in demand. Starting out, Indiana HVAC techs can earn about $12.42 an hour. Once experienced, the average hourly wage is $20.22, with the cream of the crop making over $33/hour. Indiana does not require HVAC technicians or contractors to have special licensing on certification in the field. However, many local governments do have requirements. Be sure to consult with your county or city before undertaking any projects. 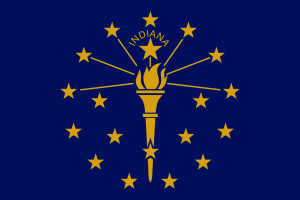 Indianapolis, for example, requires licensing for HVAC contractors. If you’ve passed a Prometric exam, you may qualify for a waiver of the city’s licensing process. There are additional requirements and it is at the discretion of the Board of Heating and Cooling Examiners. Detailed information for the Indianapolis/Marion County HVAC Contractor license is on the county’s webpage. If you will be working with refrigerants, you still have to have federal certification under EPA Section 608. There are 4 classes, depending on the type of unit you’ll be working with. The fourth class actually covers all classes. This is required anywhere in the United States. If you work especially with refrigeration units or handle refrigerants as part of other systems, please be sure to check out the requirements and process for Section 608. There’s a lot of opportunities in the HVAC industry in Indiana. Taking the time to learn as an apprentice, and possibly in the classroom as well, goes a long way to making you ready for the trade. It also makes you more attractive to potential employers. While there’s no statewide licensing in place in Indiana, be sure to check out the local expectations. Learn your trade well, and get started in a great and rewarding career!